Home List Template SharePoint Online SharePoint Online: How to Save Site as Template? Site templates are the quickest way to define skeleton of a particular standard in SharePoint. It provides great re-usability so that we can create as many sites as we want from the template without manually re-creating them. So, After you create a site and customize, add lists and libraries to it, you save it as a template. When you save a site as a template, any lists and libraries, look and feel and other objects such as calendars, etc. you have added are also saved, optionally with content. "Save site as template" feature is not supported in Publishing sites (or sites with publishing feature enabled), SharePoint Online community and group sites! 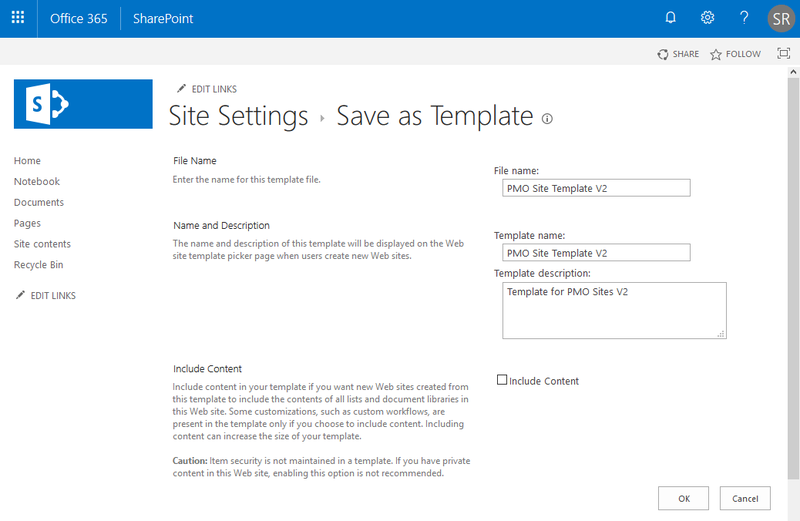 SharePoint Online How to Save Site as Template? Login to your SharePoint Online site >> Click the Settings gear >> On the menu Click on "Site Settings"
On the Site Settings page, Click on "Save Site As Template" link under Site Actions section. On the Save As Template page, provide a file name, template name and description for your site template. Optionally you can select the "Include Content" check box. Click OK to save the site as template. Once the site saved as template, you'll see "Operation Completed Successfully" page. Saved template will be available under site collection "Solutions" gallery. Now, you can create subsites based on the saved template. You can also download the template and upload to any other site collection's solution gallery. 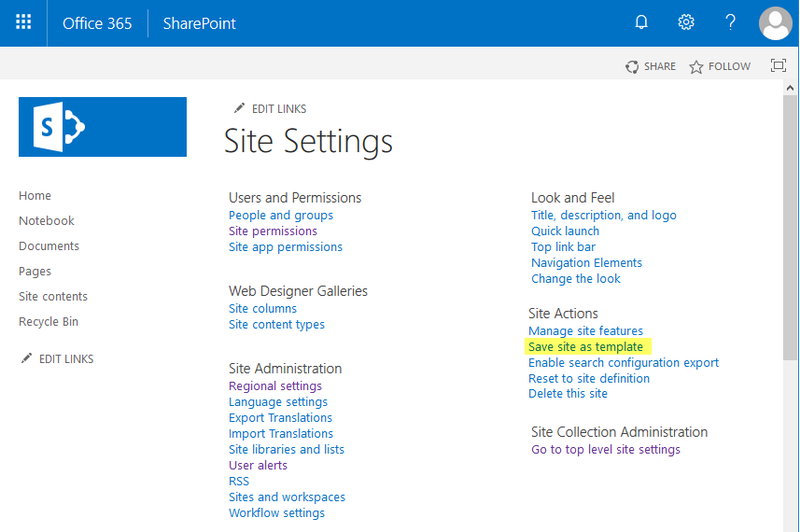 Here is my another article on save site template in SharePoint On-premises How to Save Site as Template in SharePoint?